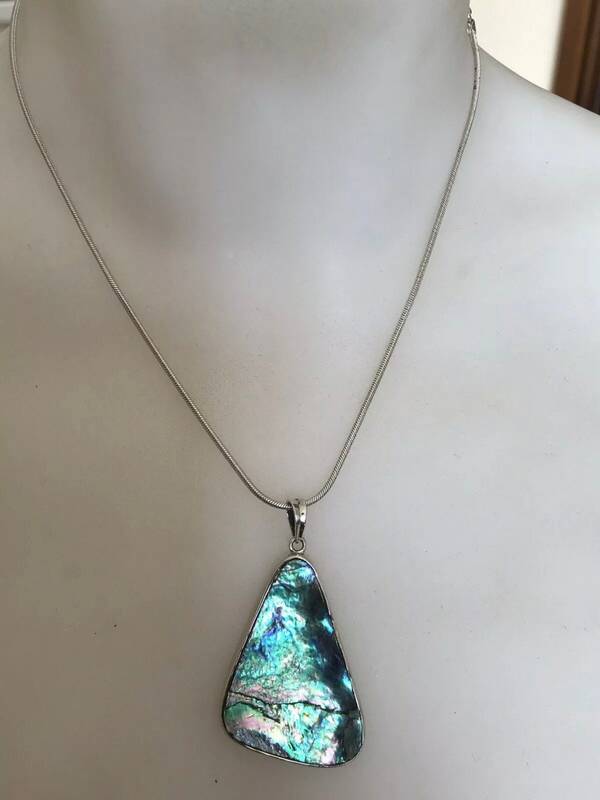 Here is a very striking piece of jewellery. 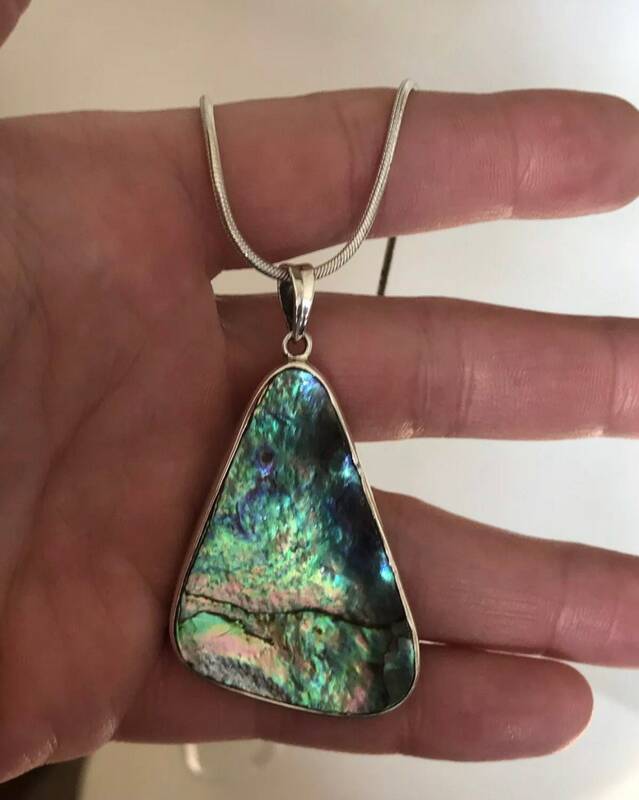 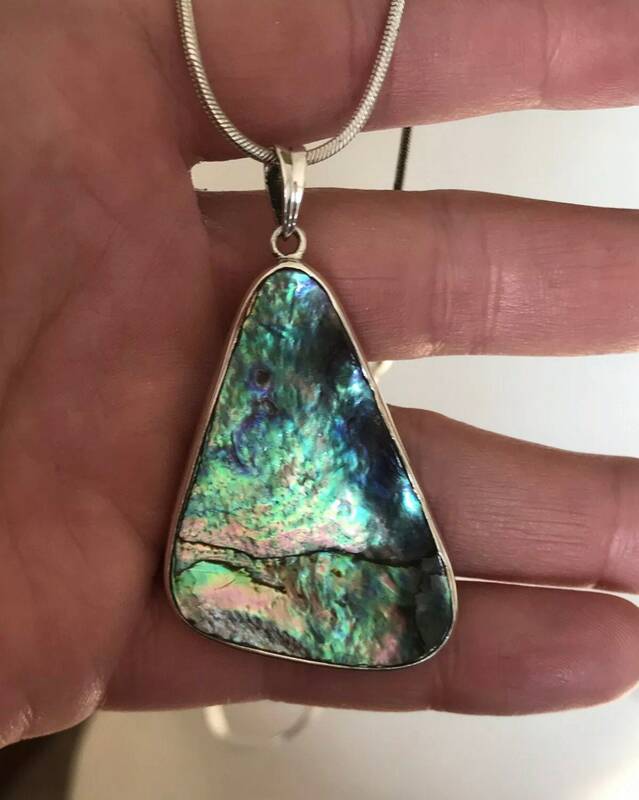 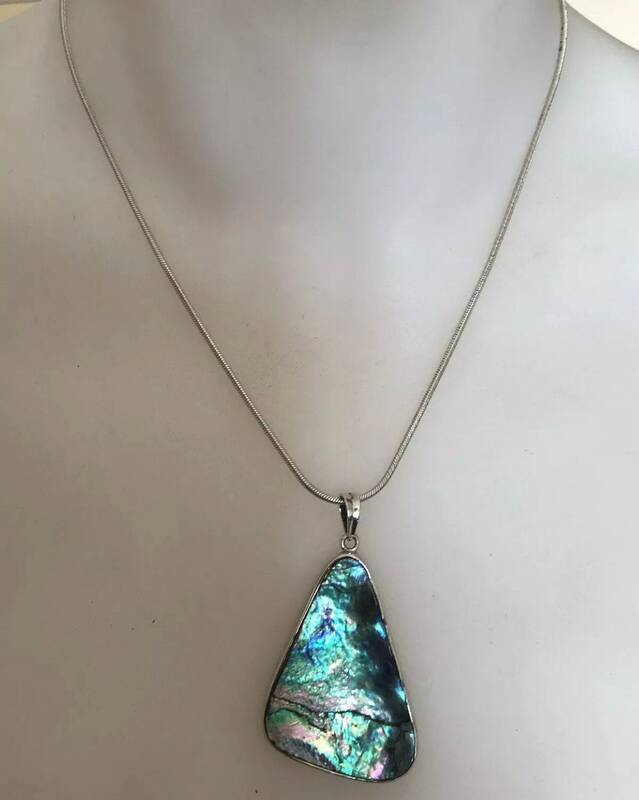 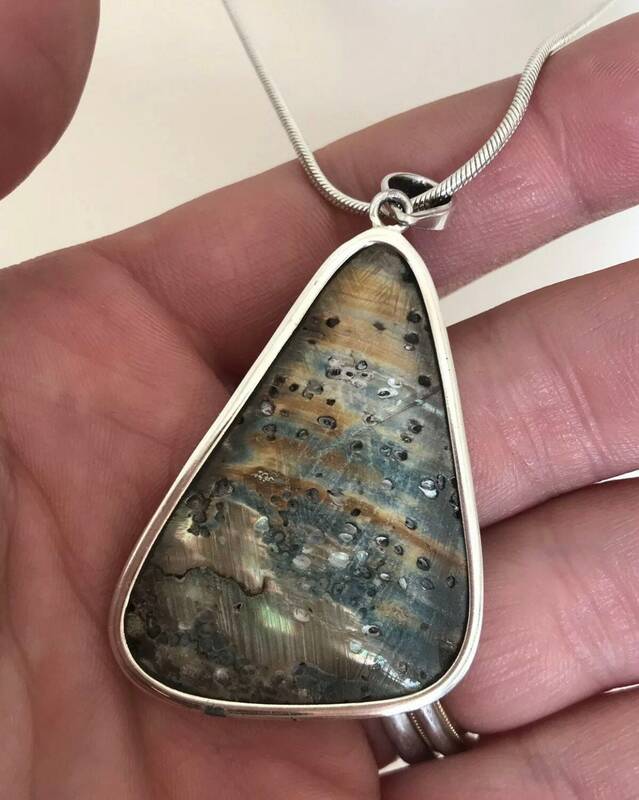 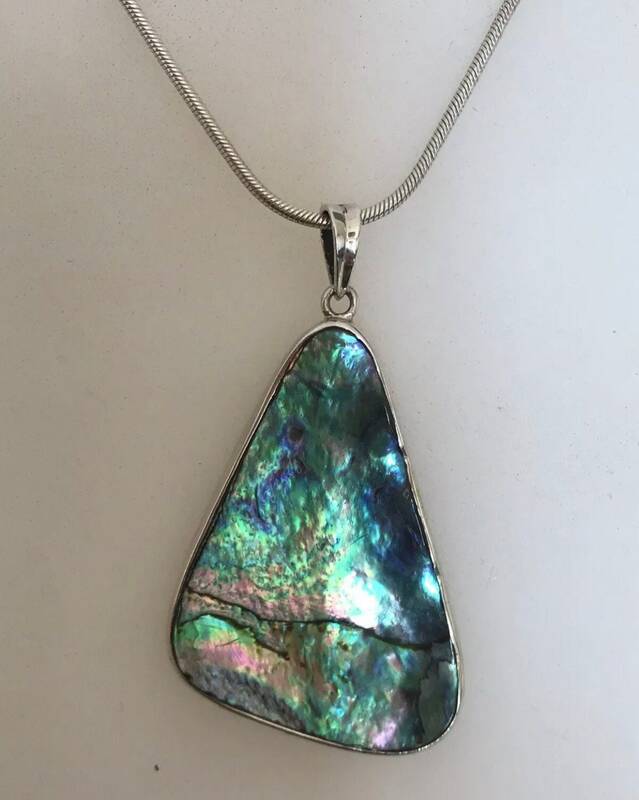 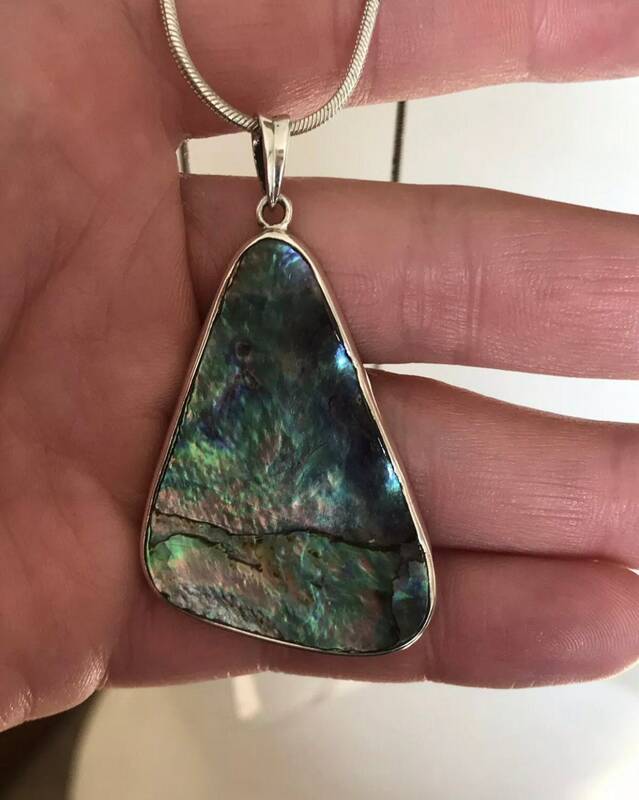 It features a beautiful pendant of Abalone shell set in Sterling silver on a 18” silver snake chain. 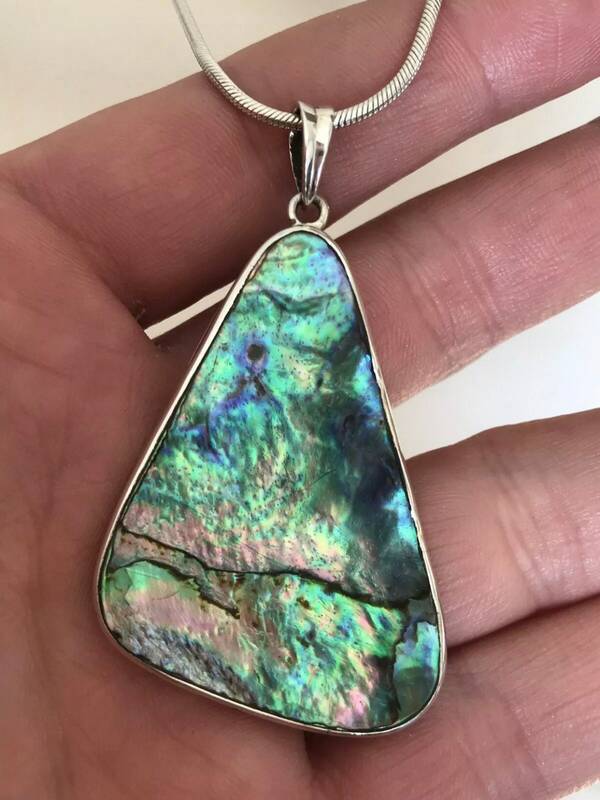 The chain measures 18” and the pendant measures 2” inches in length and has a combined weight of 14.5 grams. 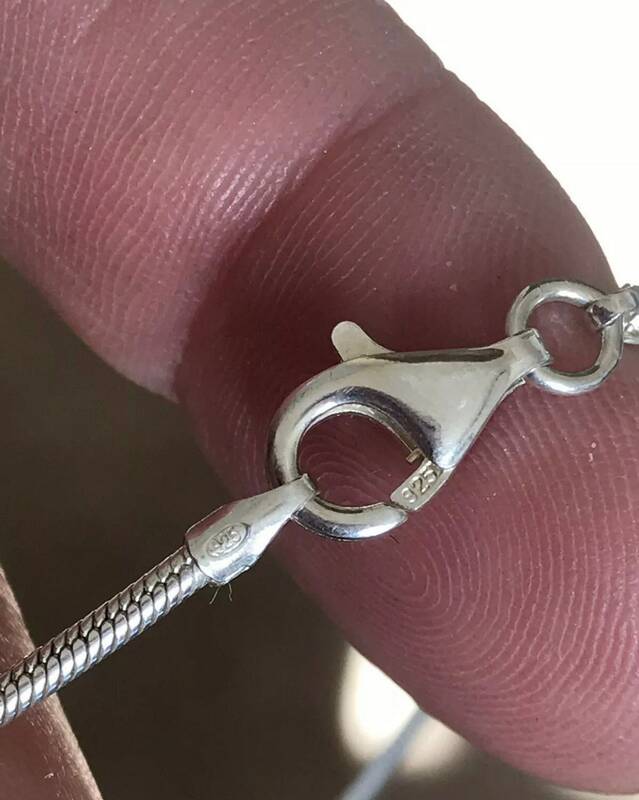 Both pieces remain in excellent condition with no damage.